Posted April 5th, 2015 by Mike Boyes & filed under Abnormal Psychology, Adult Development and Aging, Assessment: Clinical Decision Making, Assessment: Interviewing Observation, Assessment: Self-report Projective Measures, Clinical Health Psychology, Depression, Intervention: Adults-Couples, Intervention: Identifying Key Elements of Change, Legal Ethical Issues, Psychological Health, Psychological Intervention, Psychophysical Disorders Health Psychology, Social Perception, Stress Coping - Health, Treatment of Psychological Disorders, Uncategorized. 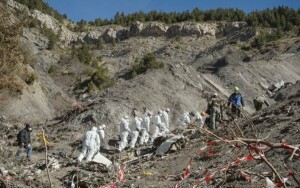 Description: It appears that the co-pilot of the Germanwings plane (on March 24, 2015) locked the pilot and remaining crew out of the cockpit and deliberately flew the plane into a mountainside killing everyone on board. Discussion and speculation about his mental health status and his previous struggles with depression raise a number of ethical debates and stigma related challenges and issues for physicians and for clinical psychologists in treating people in positions of responsibility and safety with regards to the public such as pilots. Sources: CNN Opinion: What if my patient is a pilot? The apparent circumstances surrounding the crash of the Germanwings plane raise a number of ethical issues for physicians and psychologists who are treating clients struggling with mental issues who may also be pilots or others in sensitive positions in terms of public safety. The Canadian Psychological Association ethical standards indicate that a clinical psychologist has a duty to act/report if they believe their client is a danger to themselves or others. However, a client who is struggling with depression is not on that fact alone, considered a danger to themselves or others. Psychologists and physicians are not required by law or ethical guidelines to report symptoms or diagnoses to employers. Pilots have a duty to report issues which may affect their flight readiness to their employers. Expanding duty to report requirements could expand stigmatization of mental issues and lead to pilots or other persons in positions of public trust and safety under-reporting their situations. Think about it. Even though depression increases the general risk for suicide the number of people that attempt suicide in ways that endanger others is VERY low. On the other hand cognitive factors such as the availability heuristic would perhaps, in light of news of the Germanwings crash give you pause if you became aware that the pilot of the plane you were about to take off in had been treated (successfully) in the past for symptoms of depression. Those feelings are part of what drive stigma. So, while we may not be prepared to dismiss the Germanwings crash as an anomaly due to the infinitesimally small odds of it occurring once let alone again our deliberations about what we can or should do involve serious ethical issues and concerns. What is the relationship between depression and suicide? What ethical requirements are clinical psychologists and physicians held to with regards to potential harms caused by their patients? What, if any, ethical standards or requirements should be changed or created in light of the Germanwing plane crash and the pilot circumstances that seem to be involved? Kahneman, Daniel; Klein, Gary (2009). “Conditions for intuitive expertise: A failure to disagree”. American Psychologist 64 (6): 515–526. Kahneman, Daniel (2011). “Introduction”. Thinking, Fast and Slow. Farrar, Straus and Giroux. Tversky, Amos; Kahneman, Daniel (1973), “Availability: A Heuristic for Judging Frequency and Probability”, Cognitive Psychology 5: 207–232. Miret, Marta, Ayuso-Mateos, Jose luis, Sanchez-Moreno, Jose, Vieta, Eduard (2013) Depressive disorders and suicide: Epidemiology, risk factors, and burden, Neuroscience & Biobehavioral Reviews, 37 (10-1), 2372-2374.